United in Stages of Retirement: Working Better with Age and Fighting Unequal Ageing in America | The Forum Network, hosted by the OECD: Shape ideas. Shape policy. Shape the Future. The trend toward earlier retirement has reversed in the United States, with more Americans staying in the workforce into their later years. Some choose to work longer because they enjoy their jobs and find it brings meaning and purpose to their lives. Others, however, need to work; for them, not working would mean a decline in living standard or even a fall into poverty. 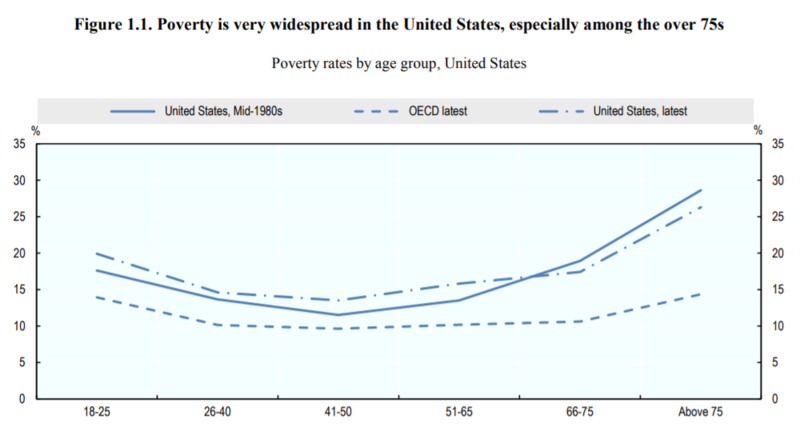 This is a real concern for many, as one in five Americans over the age of 65 live under the relative poverty line compared to the OECD average of roughly one in 10. Working longer can help both individuals and the economy as a whole. For individuals, working longer reduces the drawdown of their savings, provides additional income and increases Social Security benefits. Rising labour force participation also helps the macroeconomy, especially with a tightening labour market and a declining workforce. A United Kingdom study found that extending people’s work lives for one year would mean additional GDP growth of a full percentage point over six years. However, some workers end up retiring before they would otherwise want to. Older workers who lose their jobs have nearly 20% lower probability of finding a new job (OECD 2018) and many become discouraged and leave the labour market entirely. And some cannot continue to work due to poor health, disability or due to the physical demands of their work. Many others leave their jobs due to care responsibilities, as the number of caregivers relative to the number of people needing care declines (AARP 2013). Ageist stereotypes also can impact older worker’s hiring, firing, promotion, compensation and training. According to an AARP survey from 2013, nearly two thirds of 45 to 74-year-old workers reported either personally experiencing or witnessing ageism in the workplace. And one in five said they were passed over for a position because of their age. There is no single policy solution that will help support those who want to work into later life and protect those that cannot. 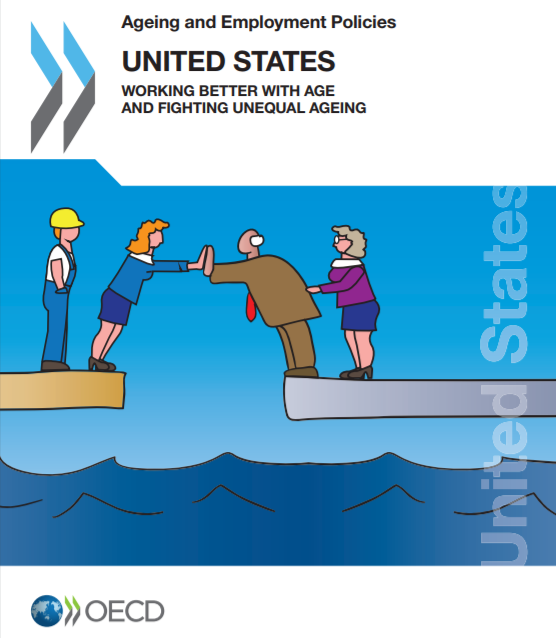 The OECD study, Working Better with Age and Fighting Unequal Ageing in the United States, offers multi-sector solutions with an “all of the above” approach: promoting longer careers, reducing old-age poverty and supporting firms in hiring and retaining older workers while also improving such workers’ employability. This holistic look at the older-worker and retirement-income landscape is part of what makes Working Better with Age such an important study. The report offers several recommendations to enable older individuals to remain in the workforce as well as strengthen their financial security. As for the latter, increasing financial literacy, especially enabling people to truly understand the penalties for early claiming of Social Security, would allow more people to make informed decisions about when to stop working. 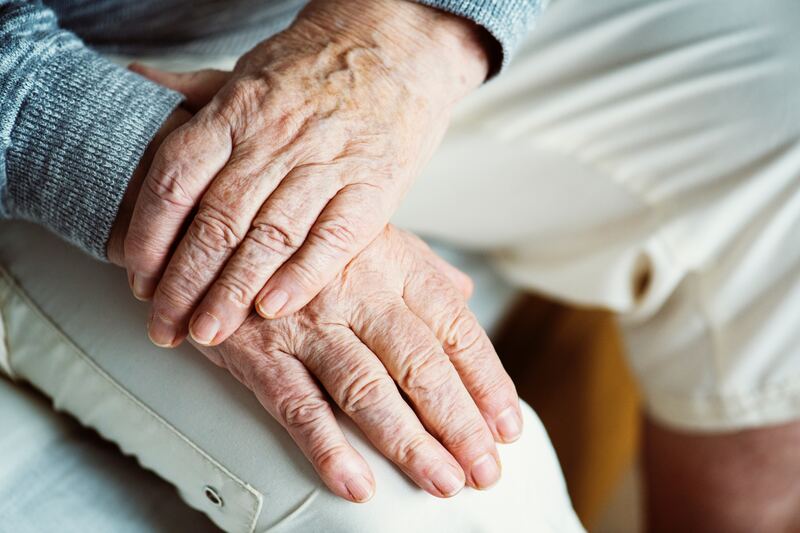 The report suggests specific changes to Social Security, including increasing low-income benefits for individuals over 75 who have the highest relative poverty rates. Meanwhile, the report recognises that simply raising retirement ages across the board – a long-discussed means of addressing the solvency of Social Security – could have significant regressive effects due to large disparities in life expectancy depending on gender, race, education and ethnicity. 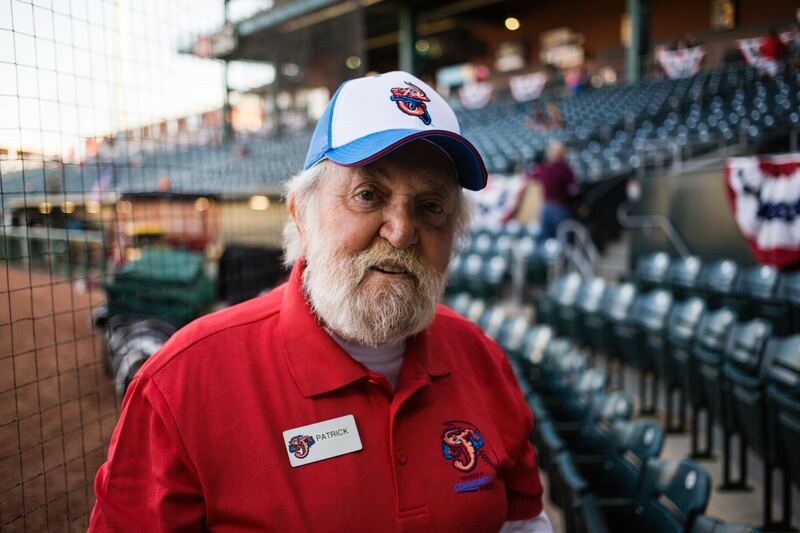 Other federal policies, including the provision of health care and the impact of laws prohibiting age discrimination, also play an important role in enabling an expanded workforce that includes older members. Requirements for private insurers to cover pre-existing conditions in the private market as required by the Affordable Care Act reduces job lock, that is the need to stay in a job to keep insurance coverage. Opting for Medicare as the primary payer, rather than employer-provided insurance, would reduce labour costs for workers over 65. Further, while the United States has been a global leader in the fight against age discrimination – the Age Discrimination in Employment Act (ADEA) just celebrated its 50th anniversary – the law needs to be extended to all workers in all firms and be made more easily enforceable. Companies with policies such as flexible hours, teleworking or caregiving leave often find that these benefits help all ages. AARP provides employees up to two weeks of caregiving leave per year. I have used this benefit to help my father-in-law, and I know some of my staff have used it to take their children to medical appointments. Countries that offer partial-retirement, mentoring programs or senior internship initiatives find ways to retain the productive experience of older employees while offering their employees increased flexibility. More companies are recognising that a diverse and inclusive workforce can lead to greater engagement, teamwork, performance and innovation. A 2016 report by Lori A. Trawinski of the AARP Public Policy Institute discovered some promising examples of age inclusion strategies. Companies surveyed reported that recruiting talent across all ages helped them build a more diverse and experienced workforce. 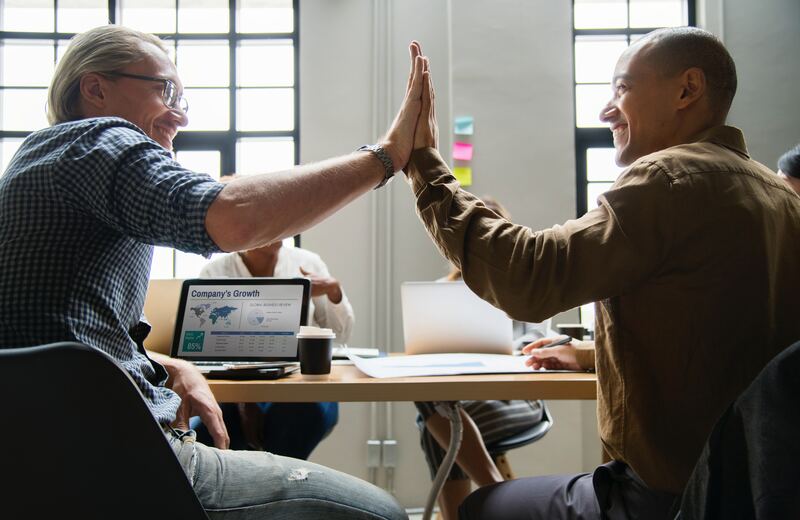 These companies had programmes for apprenticeships and cross-generation mentoring designed to help solve business problems, facilitate the transfer of historical knowledge and provide new opportunities for employment of all ages. Another element of Working Better with Age that resonates is its recognition that lifelong learning is an imperative, especially given that most workers will likely have multiple jobs during their extended careers. The report finds that most workplace training programmes currently invest primarily in college-educated, younger workers. Expanding those options to all employees will be key in achieving a stronger, more age-diverse workforce. Another recent step in the right direction is a reform to the Workforce Innovation and Opportunity Act (WIOA) that targets displaced workers over age 55 for specialised employment and training programmes. For those seeking to work later in life – whether they want to or need to – the barriers are many. Working Better with Age’s importance and relevance lies in its recognition of both the complexity of the issue and the United States population’s diversity – socio-economic, ethnic and cultural and otherwise. Thus, as the study aptly highlights, no single solution is a magic bullet, nor can one size fit all. To solve these problems the United States needs multi-sector collaboration, with business, government and individuals working together to enable inclusive and productive workforces that span the generations.